If you’re using sand bedding, you may want to take some additional precautions against mastitis. In a study of mastitis outbreaks on multiple dairy farms, Utah State University researchers found a significant association between recycled bedding and Mycoplasma pathogens. • The outbreak was due to Mycoplasma pathogens found in stored recycled bedding sand. • Mycoplasma pathogens reappeared in recycled bedding sand that had been repeatedly culture-negative. • Mycoplasma pathogens remained viable in recycled sand bedding for up to eight months. Mycoplasmal infection causes some of the largest milk production losses among all mastitis pathogens. Producers who use sand bedding must be diligent about replacing it. Researchers at Iowa State and Purdue Universities recommend a minimum bedding requirement of 35 lbs. of sand per 1,000 lbs. of animal weight. That’s about 52 lbs. of sand per cow! A less costly and labor-intensive alternative is to use foam or rubber-filled mattresses like SuperStall. Both are made from inorganic materials which do not support bacteria growth. Unlike sand bedding, SuperStall is easy to maintain and clean. And their lightweight construction is more appealing than handling 52 lbs. of sand per cow. 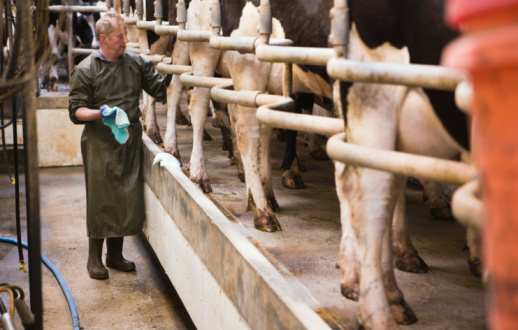 Have you struggled with a Mycoplasma mastitis problem in your dairy? Was bedding the cause? Success at World Dairy Expo 2014! Mattresses or Sand: Which supports your business (and your cows) better?